Somethings are the same no matter where in the world you are! 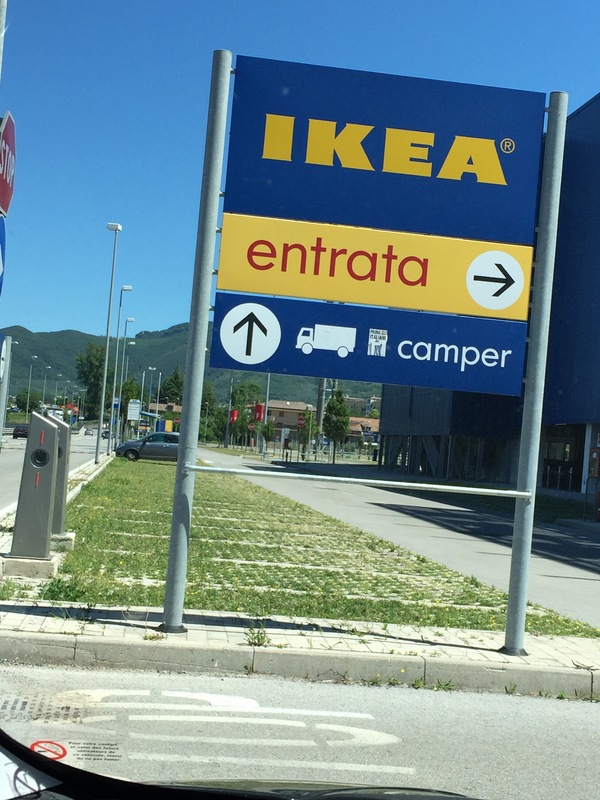 Our little adventure to IKEA, took us to IKEA in Baronissi, provincia di Salerno. We could have been at IKEA Newark, IKEA Toronto, IKEA wherever you live! I swear the floor plan was the same as the IKEA the Jack and I have often visited outside of Newark airport. I bet IKEA even pays states and provinces to build special exits off major highways so that it’s really easy to find them. 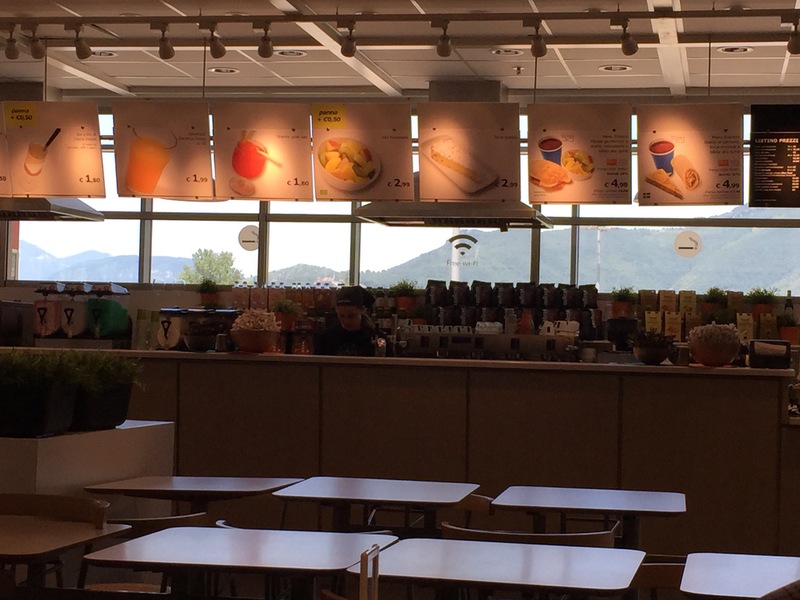 This IKEA has its own little loop off of the autostrada, incredible. Of course we had to try the restaurant café. It looked like all the other restaurants. The only difference might have been the bar – complete with espresso machine and prosciutto panini. 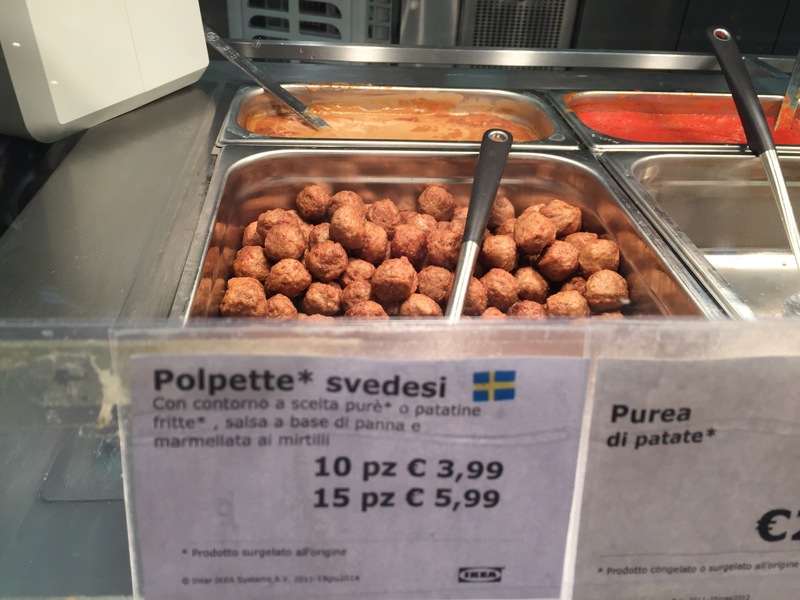 Taste testing, I discovered that the Swedish meatballs at IKEA Baronissi have the same effect on my digestive track as they do when I eat them in Newark. Now that we sold our house in New Jersey, we are really nesting in Pontelandolfo. Today’s journey bought us new furniture for the living room, new furniture for my office and a bunch of other stuff. Once you get into that market area the shopping frenzy just kicks in. Ciao for now. The car is loaded and we are trying to figure out how to get home without the desk top smacking our heads. Next postThe Address is Right – Why Can’t They Find Me? We have an Ikea just outside of the Hague and it is pretty much the same as Newark although this one is getting an extension. Not sure what will be in there. It’s also common here for families to go just for the restaurant. It’s pretty popular. Today we saw construction workers coming in for pranza. I was disappointed in the Swedish meatballs and linden berry sauce. Everyone else was having pasta! Chicken croquettes were my HoJo favorites!